Each year in August since 1994, we celebrate the International Day of the World’s Indigenous Peoples. At the United Nations and around the world, events are organised to acknowledge Indigenous Peoples’ contributions to the world, but also to establish an assessment of Indigenous peoples’ current situation in our global society. This year, the International Day of the World’s Indigenous Peoples emphasised the theme of Indigenous health and well-being. This theme emerged from the realisation that there exists a seemingly insuperable health gap between Indigenous and non-Indigenous peoples around the world, ranging from life expectancy to infectious disease burden (e.g. skin, respiratory, gastrointestinal infections), or from nutrition status (e.g. stunting or obesity) to mental health issues (suicide). The chosen theme for this year is encouraging as it links health and well-being under the same umbrella. But why is this so critical? Because there is now evidence that some of the main underlying causes of these gaps essentially lie in issues of colonisation; incompatible notions of health and top-down implementation of healthcare services are identified as serious issues to be tackled in order to reduce these unacceptable health gaps. Among many Indigenous peoples, health is not limited to the health of the body. It also includes the health of the soul, of the community, of the earth and its spirits. All of these categories are highly connected in a complex and holistic system, which explains the health status of an individual and a group of individuals. It has now become urgent to actively engage with this complexity. This has never been truer for Camopi, a Wayampi and Teko Indigenous community situated in the south east of French Guiana, along the Oyapock River, at the border with Brazil. The well-being of this community is increasingly worrying the French government and non-governmental organisations; over the past 10 years, the number of suicides committed by young people has steadily risen. These dramatic events have a traumatising impact on the community and leave health authorities with a feeling of helplessness. Many efforts are put into trying to provide psychiatric support, but there is now also a call for more holistic and participatory interventions. I was recruited as a consultant by the NGO Actions pour le Développement, l’Education et la Recherche (ADER) to establish a diagnosis of determinants of well-being and ‘un’ well-being in the community. Using participatory and visual methods and supported by a team of four young people from Camopi, results confirm the validity of holistic approaches, especially on the theme of suicide. Determinants of ‘un’ well-being include weak local governance (poor leadership, indicated by a poorly maintained public space in the villages), excessive drug and alcohol consumption, poor access to education and employment for young people, and environmental pollution issues linked to illegal gold mining. However, building on the ‘community owned solutions’ approach promoted by the Cobra Collective, it also seemed crucial to present sources of well-being (and practices supporting them), as a way of building on the community’s strengths. These included the practice of traditional activities (closely related to family ties and the natural environment), sports and cultural activities for young people, community life and especially parties, travelling and ICTs. These results resonate with findings on the theme of suicide in Indigenous communities, linked to major disturbance in community life, loss of social organisation, loss of culture and collective suffering. On the other hand, well-being is linked to community empowerment, family cohesion, or cultural cohesion between Indigenous peoples. In order to fight the health and well-being gap, based on our experiences we strongly advocate for the continued effort to engage with Indigenous communities with highly holistic, participatory, empowering and culturally sensitive approaches, in order to redefine and reduce this gap, and promote equality for all. 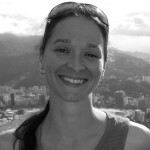 Céline has been carrying out research for over 10 years in South America, more specifically in the Amazon Basin. 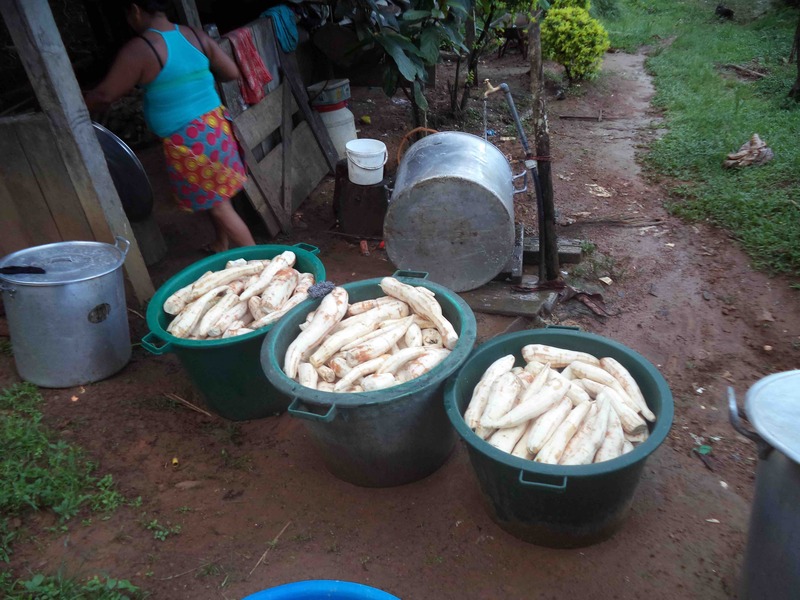 In Bolivia, Ecuador, Brazil, and more recently in the Guiana Shield countries, she has been focusing on how resource and land management in remote Indigenous communities can impact their health, and what levers can be activated to promote more sustainable health systems. She has worked as a consultant looking at ways of preventing suicide epidemics in Indigenous communities of French Guiana. She believes in participatory approaches as a way of doing research ‘with’ rather than ‘on’ local communities.